In this edition of Optimize Pulse: Optimize is nominated for a Small Business Book Award, as Optimize and reviews appear in the Huffington Post and CanadaOne online publications. Also in recent Optimize news, Lee Odden’s book gets the thumbs up from participants in a PR Google Experts Hangout hosted by Tracky and Odden’s speaking engagement at Content2Conversion is announced by event organizers. 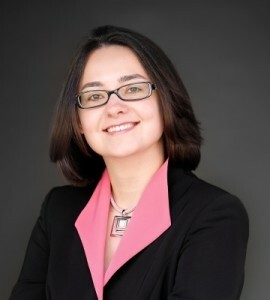 Ekaterina Walter, Intel’s social media innovator and the author of Think Like Zuck, reviewed Optimize this week for the Huffington Post. “While there are many industry voices that say SEO is dead, the notion of optimization to improve online marketing performance is alive and well,” Walter wrote. “That’s why Optimize: How to Attract and Engage More Customers by Integrating SEO, Social Media and Content Marketing by Lee Odden is literally a handbook for succeeding in today’s content focused, search and social media web.” Walter underscores the importance of a deeper understanding of customer needs throughout each phase of the buying cycle and recommends Optimize for beginner to expert-level marketers and PR practitioners. 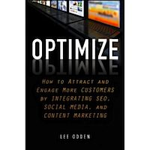 Lee Odden’s Optimize has been nominated for consideration as the best small business marketing book of 2012 in the annual awards event held by SmallBizTrends.com. With a 5-star overall rating on Amazon and several weeks in the Top 10 for SEO books available on Amazon, Optimize is a serious contender for this and other upcoming honors. 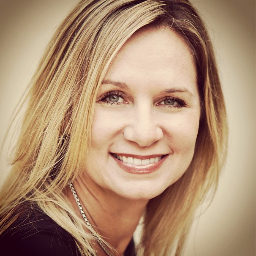 Readers will have an opportunity to vote for their favorites in the SmallBizTrends awards competition beginning March 4, 2013. In a recent episode of the PR Google Expert Hangout video series hosted by Tracky’s Sarah Evans, Social PR specialist Lisa Buyer points to Optimize as required reading for online PR practitioners. Odden’s book contains invaluable tips for companies to make their newsroom a hub of search optimized, social sharing-friendly content, according to Buyer. She recommends using the Optimize framework to ensure all of your newsrooms’ content includes key words, titles, links, hashtags and meta descriptions. Canadian business news publication CanadaOne published columnist Kelvin Mak’s review of Lee Odden’s Optimize this week. The book touches on every facet of online marketing, guiding readers through each and every step of an integrated approach to business promotion, he noted. “It is often hard, especially for beginners, to make sense of all the technical jargons and concepts that fill such books, but Odden somehow manages to simplify—though crucially not dumb down—the complexities, making them easy to read to understand,” Kelvin wrote. Optimize is inherently different from other online marketing resources, according to Kelvin, who appreciated that each of the “hows” was explained with a “why.” Other books on SEO typically read like a laundry list of things to do, he noted, while Odden’s approach adds perspective and context, truly educating marketers in the process of offering actionable insights.